Earlier today Samsung finally decided to put an end to all the leaks, rumors, and speculation regarding its new Galaxy A (2017) smartphones and made the trio official. One thing that was missing from the official global announcement, however, was how much the Galaxy A3 (2017), Galaxy A5 (2017), and Galaxy A7 (2017) are going to cost. In the meantime Samsung has thankfully clarified matters, at least for the Eurozone specifically. That said, these prices are probably also a good estimation of what you'll end up spending for one of these handsets in other European countries too. The Galaxy A3 (2017) will come with a recommended retail price of €329, while the Galaxy A5 (2017) will cost €429. There is no mention of the Galaxy A7 (2017), so it looks like the rumors panned out and the biggest of the three new A models will not be officially sold in Europe after all. 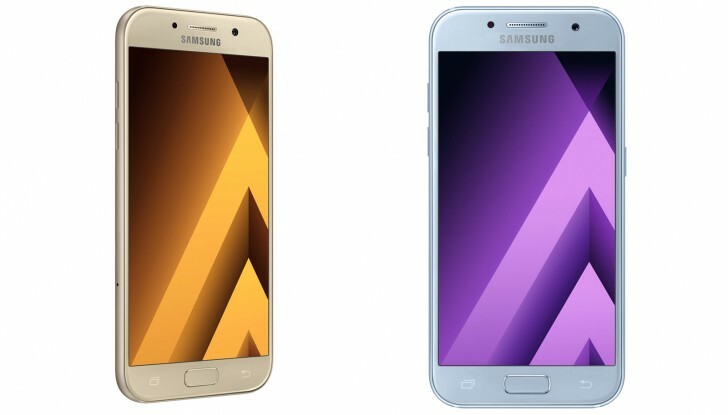 The Galaxy A (2017) smartphones will first be available in Russia in a few days. They will then be out in Western Europe in early February. A release timeline for any other parts of the world isn't public yet, but it's likely that some Asian markets will get them by the end of January. Im not saying that this is the way to go. Im a xiaomi user. But most people buying samsungs only care about the brand so why not buy a 6 month year old and cheaper samsung?